点下面的"CLICK HERE TO ENTER THE ONLINE STORE"
Prior to using any of our facilities, you will need to visit our online store and complete a user profile. Along with the user profile you must sign both the Liability Release form and the Health Insurance waiver. Once your user profile and waivers are complete, you will need to purchase a membership to gain access to the facility. 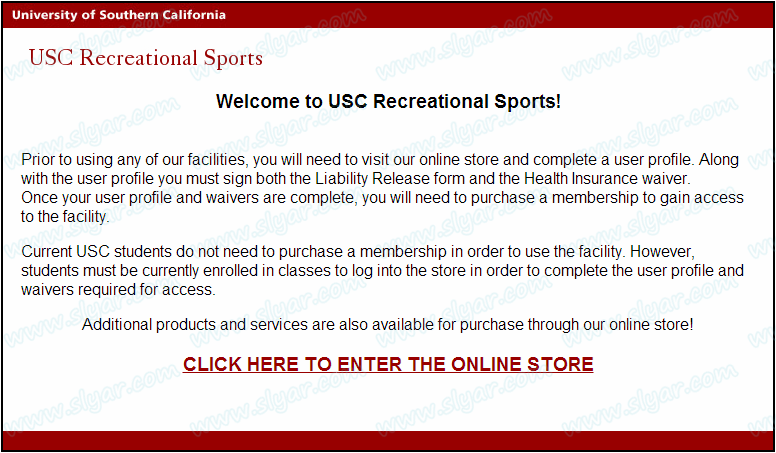 Current USC students do not need to purchase a membership in order to use the facility. However, students must be currently enrolled in classes to log into the store in order to complete the user profile and waivers required for access. 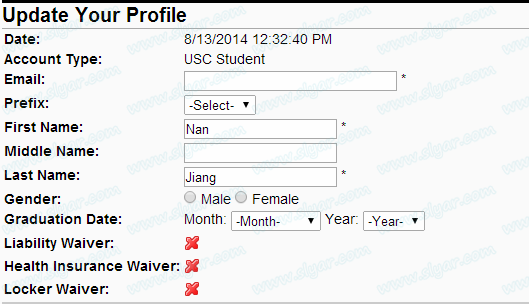 然后"If you are a USC Student or USC Faculty/Staff, click here."